2018 is gone now, we posted our lists with our favourite albums and everybody in Progrocks.gr had a pretty good time discussing, analyzing and commenting. Having said that, there’s one more annual ritual: spotting the most remarkable albums, from the underground prog scene mainly, which were overlooked or they simply fell through the cracks. In the prog genre there is a healthy dose of them every year and 2018 -curiously, perhaps- topped all the previous ones. The venture began in 2016 with ten albums (click) and in 2017 they were… 7.5 (click)! This year it was harder than ever, but I tried to restrict myself to only ten releases. 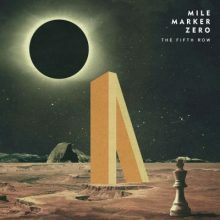 Granted, the music of Mile Marker Zero is off the underground track, the production is stellar and chances are their music will reach a wider audience, yet the fact that they fly under the radar from the best part of the audience they mean to reach classifies them into the aforementioned category (probably not for long). With the bassist as the sole line-up change compared to their debut album nine years ago (the EP The Hunted was released before that), the style of the band remains unaltered but composition-wise the quintet from New Haven, Connecticut is evidently more mature. What impresses most in The Fifth Row is the irresistible flow of the album and the masterful alternations of the fifteen (!) songs that straddle progressive with alternative rock grafted with sophisticated metal elements. One of the most enjoyable releases of the year, which deserves the attention of the fans of modern prog sound. The rise of retro-prog scene in Scandinavia offered us wonderful albums like the recent releases of Wobbler, All Traps on Earth and Malady among others. Ring van Möbius from Karmøy, Norway describe their music as “progressive rock straight from 1971, but made today” and they are dead right. Their strong attachment to the analog sound repays and the three tunes of their debut album ooze with worshipped things from the past, but also creative inspiration. The main feature of the music that Thor Erik Helgesen, Håvard Rasmussen and Dag Olav Husås compose, is the absence of the guitar and the dominating role of the keyboards (Hammond, Fender Rhodes, Clavinet, Moog, Analogue Synthesiser) which remind us is various ways the glorious days of prog. Their main influences are clearly Van der Graaf Generator and to a lesser extent the early King Crimson whereas the dark atmosphere nods to Scandinavian 70s bands. With the mediocre vocals as the sole niggle, the magnificent melodies that parade in Past the Evening Sun will enthuse the die-hard fans of 70s prog. 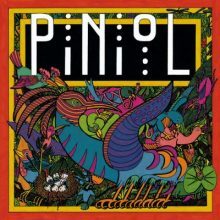 PinioL hail from Lyonnais of France and they were formed through the collaboration of members from bands ni and PoiL. Bran Coucou is their debut album and we would be selling it short by saying that their music simply breaks the avant-prog boundaries. The seven-member band combines the math attitude of the chaotic intricate parts with the solid rhythm section (two bass players and two drummers! ), guitar-walls (with “only” two guitarists), unpredictable dynamics, almost autistic, repetitive vocals (sung in Japanese?) and unfaltering brutal-prog aggressiveness from the get-go. This very album is not simply up there with the best of 2018, it is unparalleled. Probably the most amazing fact is that PinioL pull off to impress and engage those who can bear them, without shutting out the possibility that this uninterrupted aggressiveness encompasses or stems from humour. The only certainty is that no one can take an album like Bran Coucou lightly. How would a modern album with one foot on prog rock and the other on jazz/fusion with influences that include even 90s prog metal strike you? 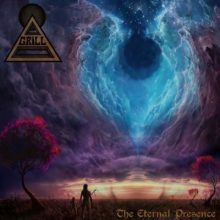 The first full-length album by Grill from Sydney, Australia is undoubtedly one of the most interesting debut releases in 2018. According to the band, The Eternal Presence is a concept album regarding a journey of comprehension about the peace between man and nature. Truth be told, the concept didn’t appeal to me that much, but the music came as a very pleasant surprise. The level of the compositions is very high while the jammings and the technical skills of all members are impressive. The guitar duo of Andres Rodriguez and Jarrah Dhyan is stunning to say the least while the voice of bassist Robert Mouat soars in the stratosphere. 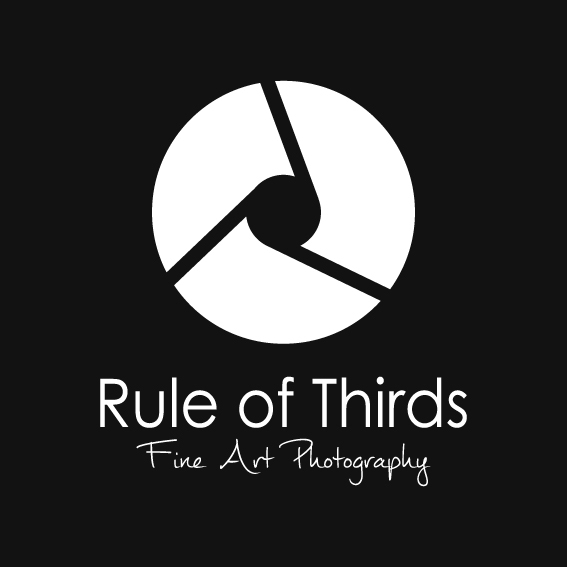 I get the impression that their style is not crystallized yet, but their talent and the way they mix the elements they have opted to use suffice to expect great things from them down the line. Three years after their self-titled debut album, the trio of Fabrice “Chfab” Chouette, Frédéric Chaput and Patrick “Paskinel” Dufour has returned with the contribution of Jean Luc and Thierry Payssan and Archimede De Martini. Le Bateleur picks up from where the French band had left off on their debut album. The artwork, the structures and the style of the songs are very similar or identical. In the five long compositions, the much-adored, adventurous and dark Canterbury sound is delivered in a magnificent symphonic fashion. The easily digestible melodies are eliminated to a greater extent compared to Alco Frisbass, but the same goes for anything superfluous and wearisome (not a mean feat in this particular music). The developments are fascinating and will enthuse every prog fan, no two ways about that. Most important is that even though the songs of the album stand in their own right, the album goes by in a flash and it is a wonderful 44-minute experience. 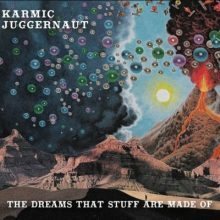 The debut album of Karmic Juggernaut is one more reason for every prog fan to feel optimistic about the future of this music on every level. This is because their music is stunningly versatile and bristling with so much energy that leaving you cold even from the first listen is no-go, even though the clarification of their intentions is not exactly an easy task (which is not necessarily a negative thing). 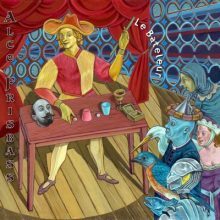 The combination of art-rock, funk, psychedelia, jazz-rock, vintage and brutal prog with latin elements, surf rock and disco through an avant-prog prism fascinates and has numerous surprises in store, nodding to a creative coexistence of Mr. Bungle, The Mars Volta, Frank Zappa, Yes, Gong and everything in between! The guitar duo of Randy Preston and James McCaffrey is riveting, the rhythm section of Cody McCorry (bass) and Kevin Grossman (drums) is inspired as it gets while the beautiful vocals of Daimon Santa Maria take the final outcome to the next level. Topping it all is that they achieved that at such a young age with potential for greater things in the future. 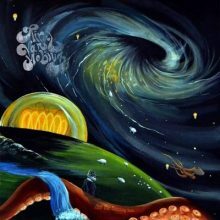 The return of the multi-instrumentalist Jarrod Gosling (Henry Fool, I Monster, Skywatchers) with his primary creative vehicle meant one of the most interesting prog albums of the year which probably outshines even the debut album of Regal Worm, Use and Ornament (2013). With the vintage keyboards as their main mean of expression, Gosling achieves to create a peculiar and smooth outcome with masterful arrangements free of prominent stylistic outbreaks which impresses both composition- and aesthetic-wise. The music of Regal Worm, though it is a purely prog album, sounds far from any other band. The Canterbury approach is surely evident (the Caravan influences are simply stunning) but it is mainly the way that these influences mix with pop vocal -or not- melodies, the nearly dancing feel in many parts, the sophisticated usage of wind instruments, the imposing atmosphere and the ambient plainness which regularly creeps in that make Pig Views one of the most interesting albums of the last few years. 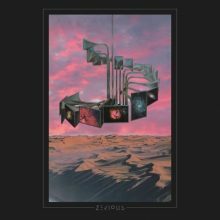 Five solid years after the impressive Passing Through the Wall, the trio from New York strikes back with their fourth album that consolidates them in the avant-prog firmament, though it is not necessarily their magnum opus. The band abandoned Cuneiform Records when the label announced that it will refrain from releasing any more albums to join Nefarious Industries and Lowlands deserves to be checked out by those who are interested in the mixture featuring RIO, metal, doom, jazz and post-rock that Mike Eber (Smother Party – guitar), Johnny DeBlase (Sabbath Assembly, Many Arms – bass) and Jeff Eber (Dysrhythmia – drums) come up with. The hard-absorbed, the merciless riff-barrage, the unusual rhythms, the constant pressure that recalls a bomb raid is absolutely certain that will excite every fan of the contemporary avant-prog metal scene and most notably the enthusiasts of the current underground scene of New York. The seven even and carefully-crafted songs, plus the wonderful cover by the hand of Bryan Olson render the exclusive vinyl edition of Lowlands totally luring. Six years after Of Sun And Moon, the Finnish are back with their fifth full-length album. Haydenspark stuns with the magnificent cover of Alex Keskitalo and fortunately the musical content does not fall short. 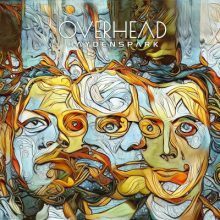 Once more, the music of Overhead is based on separate pieces with simple structure which are enriched with wondrous ideas and melodies that literally stick to mind (consider Count Your Blessings). What sets the band apart from the other contemporary prog bands is their style. The unique combination of alternative grunge rock (verging from time to time on the borders of metal) with progressive rock, even with its traditional sense, sounds unpretentious although it merges two seemingly different worlds with their own strict rules and technical outlet. The meaty vocals and soft melodies from Alex Keskitalo’s flute complement each other beautifully while every Overhead release is a reason to relish the marvelous playing of Jaakko Kettunen on the guitar, one of the most underrated shredders of our time. 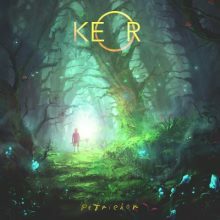 The debut album of Keor entitled Hive Hind (2016) had gone unnoticed from most listeners, but this could not happen with Petrichor. For those who don’t know, Keor is the one-man project of French multi-instrumentalist Victor A. Miranda-Martin. This reason alone makes the achievements of Petrichor even more impressive. The most stunning element of the five epics is probably the stellar arrangements, the astute and unpretentious style changes and the evident majestic aura which is totally justified. All of the above, mind you, stem from a single mind and performer in vocals, guitars, keyboards, samples and of course the production and mix. Here, symphonic prog and prog metal alternate the dominating role with ambient rock and psychedelic-like folk in a soundtrack-ish outcome, imposing atmosphere, orchestral recitation and vocal melodies that nod to Steven Wilson. 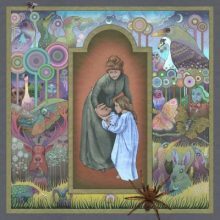 Petrichor is a fascinating, fairy-tale journey that every fan of old and new prog alike will enjoy.